This is an outlet for whatever random thoughts circle around in my head, for what I believe, and what gets on my nerves. 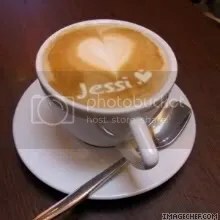 My name is Jessi. I am 24. I am married and I have been married for almost 8 years. We are trying to have kids, but we are having some trouble. We have 2 Miniature Schnauzers. They are Princess Fiona and Shrek.